For someone who claims to not care about Pluto, you've certainly put a lot of energy into the thought of destroying it.On the serious side, calling Pluto and Eris planets is not “unworkable,” providing we establish dwarf planets as a third class of planets that are planets due to their being in hydrostatic equilibrium but of the dwarf subcategory because they do not gravitationally dominate their orbits. 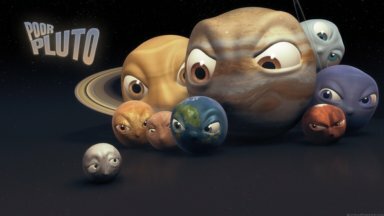 The IAU vote does not “drop Pluto from the planetary club” if significant numbers of astronomers refuse to accept that vote. The ten-planet system may not have lasted long, but the 13 planet system, which includes Ceres, Pluto, Haumea, Makemake, and Eris is a legitimate view in the astronomy community.Of course, that makes things harder for you on the destroying end. You'll have to target four more objects because they are also messing things up by causing controversy. That's more bombs to build and more money taken away from human needs.If Pluto were really the puny asteroid some IAU members and supporters think it is, it wouldn't be that difficult to destroy in the first place.Then there is the issue of the international treaty against weapons in space. Will the US violate this treaty and become a rogue nation, or will a rogue group like the Front for the Liberation of the Universe from Pluto act on its own and risk being designated as terrorists?This act could set off a full-scale solar-system war as countries, corporations, and individuals decide they want a piece of the action. What if “friendly fire” accidentally hits Earth? 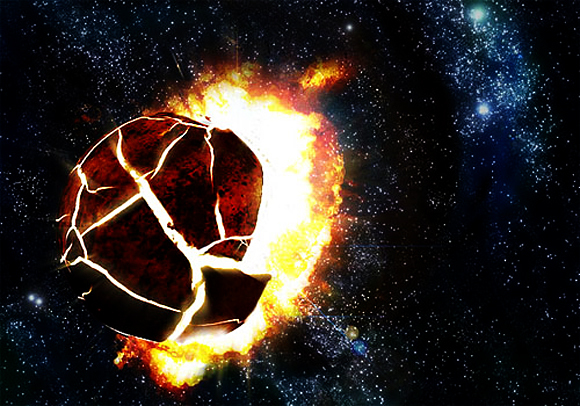 And if you do shatter Pluto, what about the risk of one or more shards being pulled into the inner solar system and impacting Earth?What if Pluto has more defenders than you realize, and they get the same bombs and threaten at attack on Earth if you dare bomb Pluto? Would you risk the safety of our own planet?You might just want to choose learning the ways of the Sith, which would be easier and consume less resources. That's assuming you're okay with embracing the Dark Side.Begun, the Pluto Wars have! Oh no, I DO care about Pluto. I think Pluto is awesome. I just don't care much for the “debate” that surrounds whether it is called a “planet”, “dwarf planet” or “debris” (after I've finished with it). You know my opinion about the IAU thing.As for blowing up Pluto, I reckon it's far enough away not to cause any problems for Earth. :)Let's give it a go and see what happens! really do you want to blow up!! Time 2 leave the country methinks. Cultural contamination. What *is* this American obsession for dropping big bombs on planets? (Including ours!) Personally I found the politics of the 2006 meeting as dubious as the (re)classification. Laurel says it for me:”An Open Letter to the 27th IAU General Assembly”http://laurele.livejournal.com/10429.htmlLook out for the Erinýes! Surely you are familiar with “How to destroy the Earth”:http://qntm.org/?destroyAs for pluto, wouldn't it be easier just to drop the perihelion so that it intersects Uranus, and let it get eaten? AND THEN WHO GOD?? US ?? OR YOU BECAUSE YOU THINK SO NEGATIVE!!!! AND THEN WHO IS THE ONE TO BLAME GOD?? US ?? OR YOU BECAUSE YOU THINK SO NEGATIVE!!!! 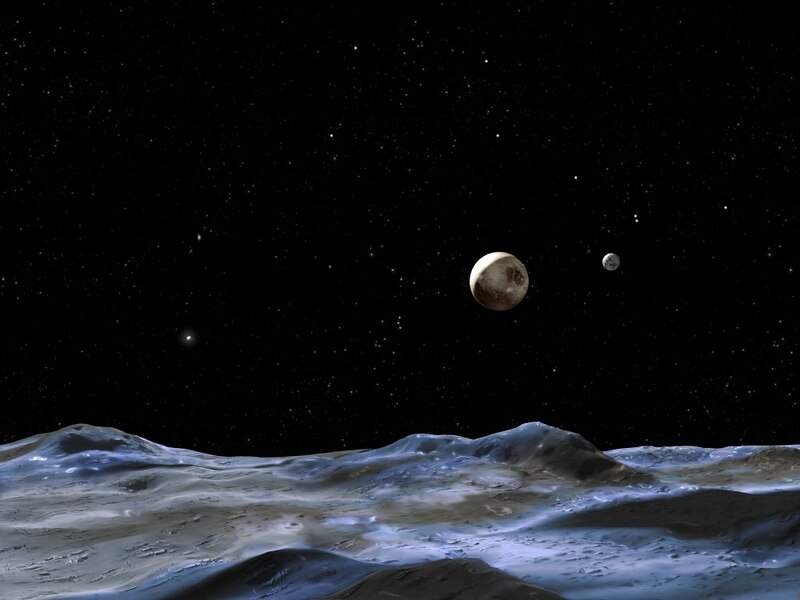 Sorry, the objections to Pluto's reclassification aren't going away. Because it was a bad decision. That's cool. If it had gone away I might not be this motivated to plan Pluto's demise 🙂 Certainly an interesting debate. It arrived promptly after I paid for it and I would happilycheap handbags do business with you again. Thank you! We are in possession of a large number of feedback information from buyers in various regions and imitation handbagscountries, such as Hawaii, New York, California (USA) Sydney, New SouthLV Wales, Victoria (Australia), to name just a few. The following is one of the pieces from New York, The United fake louis vuittonStates, which says: Welcome to visit our discount Louis Vuitton replica handbags, wallets, purses and shoes outlet store. Selecting and buying your own idealized Louis Vuitton bags in our cheap Louis Vuitton onlineLouis Vuitton Bags shop. Genuine quality and discounted price; various styles and unique designs Louis Vuittonare for your choice. You will surly find one which is the best for you. Would it be possible to instead of blowing it up moving it? Exa: if we calculate the orbit and launch several bombs from a floating nearby station and let them hit before target (pluto), would the wave force be enough to puch it out of orbit? if so would it be possible to push it into a new orbit where it could collide to its neighbor? could that destroy it? Next Next post: Spirit Suffers Another Bout of Amnesia. Spirit Suffers Another Bout of Amnesia.